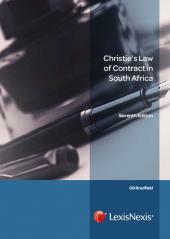 Originally published in 1981, Christie's Law of Contract in South Africa is well established as a leading authority in the field of contract law. It presents a thorough and complete exposition of the general principles of the law of contract as evolved and applied by the courts. The seventh edition deals with recent case law on a variety of issues including electronic signatures; compliance with statutorily prescribed formalities for contractual validity; developments relating to agreements to negotiate; economic duress and undue influence; simulated contracts; reciprocity in contract; interim interdicts; and the remedy of specific performance. Additions that are more substantial include expanded treatment of the role of good faith in the law of contract. This tracks the continuing tension between the Supreme Court of Appeal and Constitutional Court regarding the extent of that role, with the latter court pressing for a greater role for good faith but not providing sufficient clarity on what good faith means in the context of contract law or on what role it envisages for good faith. This tension has caused difficulties which are reflected in certain High Court decisions. This edition deals with the now well-established approach to interpretation of contracts, with the implications this approach has for the related issue of admissibility of evidence to assist in ascertaining meaning. 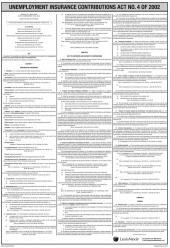 The section dealing with restraint-of-trade provisions has been rewritten to reflect more accurately partial enforcement of these provisions, without recourse to notions of severability, as has the section on extinctive prescription, to reflect developments in clarifying particularly the scope of application of the relevant provisions in the Prescription Act and interruption of the running of prescription. In addition, changes have been introduced to the formatting to improve ease of reference. 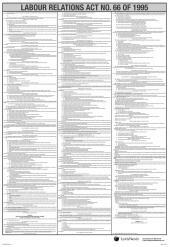 These include section headings within, and tables of contents for, chapters and cross-referencing to sections rather than to pages, as was done in previous editions.